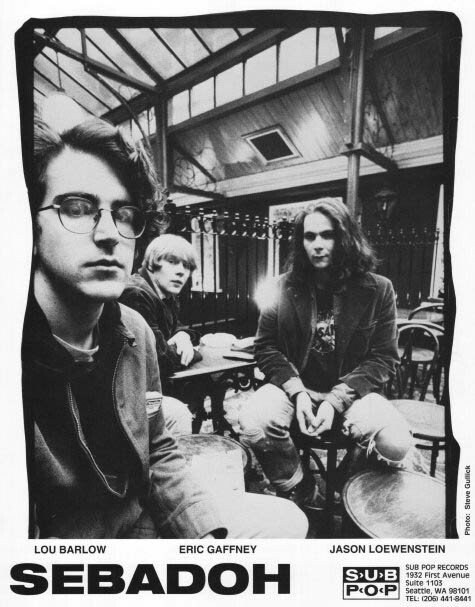 – Just announced: heroes of the 1990‘s Sebadoh will hit Mercy on August 14. Tickets are on sale 5.25 at 10 a.m here. Lou Barlow‘s been touring a bit solo and now the lo-fi pioneers are also working on new material. – Get well soon, George Jones. For real. – We were a little confused when we saw a Tristen show announced at the long defunct Slow Bar. Caper solved: she’s playing at the Basement instead on 6.20, and at the Loveless Barn on 5.30. We’ve been meaning to check out Music City Roots (and Alejandro Escovedo is also playing that night) and should have a cot at the Basement/Grimey’s, so we’ll see you at both. –The Mickey Hart band have announced a show at Cannery 8.31. Tickets go on sale this Friday at 10 a.m. here, and will also be available at Grimey’s, The Groove and Parlour & Juke. – Paramore’s Hayley Williams bemoans the lack of a Native Foods in Nashville. – Need something to do tonight? How about Ty Segall at The End. – Jack White is still messing with Guinness.